As a great fan of Formula 1 myself, I asked our guys in LA to go back and get some more F1 2015 footage. 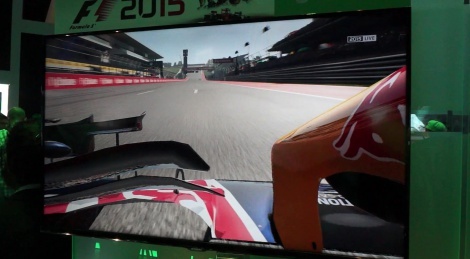 So enjoy these videos of COTA, Montreal and SPA! Also a reminder for our "friends" with Youtube channels. Posting our videos, even with your own comment over it, is ABSOLUTELY forbidden without our authorization. We won't even warn you anymore and do Copyright Infringement complaint. You've been warned! 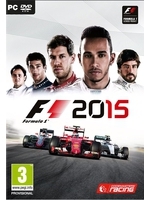 Hi Gamersyde admins, I want to ask you the permission to post your F1 2015 E3 videos on my youtube channel. I will mentionate the website at the beginning and at the end of the videos, make an appropriate thumbnail with Gamersyde logo and put the link to the website in the description of the video. I hope you accept the proposal. I wonder if they improved the handling. I remember they dumbed down the handling after 2011? I can't remember, but after that it felt to me like you were on rails, the other one you had to try hard to keep from spinning or losing time, it was very challenging in the rain, etc. Then they made it so you just step on the gas all the way, with all assists off, in the damn rain, and it still felt like you had throttle and steering aids on. May still buy this since I haven't bought one for 2 - 3 iterations.